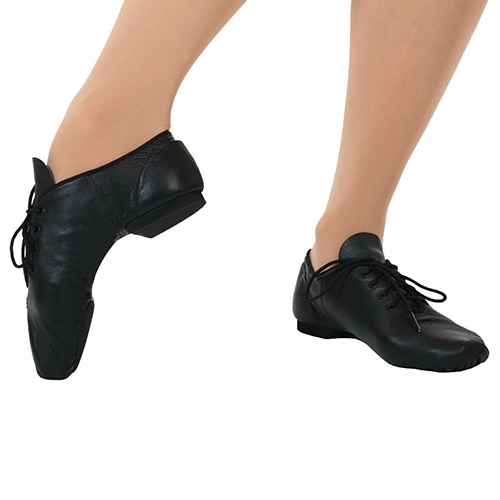 Jazz Shoes, Capezio, E-Series Jazz Oxford Child EJ1C, $27.95, from VEdance, the very best in ballroom and Latin dance shoes and dancewear. Versatility abounds here as the EJ1C is used for jazz, workout, and social dance. It is sturdy, featuring durable leather, a non slip heel counter, and reinforced eyelets. Nicely padded, with an Achilles notch and cotton lining, it is quite comfortable. Little dancers can leave a bit of growing room and still have a nice fit.